Here is a recipe for an insanely easy dish: a whole baked trout (pečený pstruh). I’ve been meaning to make this dish for a while, except that the grocery store I normally shop in (Giant) doesn’t have much of a seafood section. So I was really happy when few days ago I ventured into Whole Foods and found their amazing seafood selection. Preheat the oven to 400F. Rinse the trout (pstruh), pat dry, and place on a baking pan along with about half a stick of butter (maslo). Bake for about 30 minutes. In the mean time, prepare your side dishes. 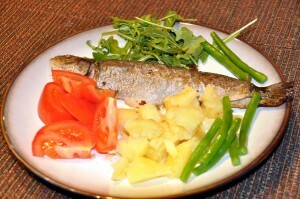 I used boiled potatoes (varené zemiaky), but mashed potatoes or fries are also popular. I also steamed some green beans (zelená fazuľa). About 20 minutes into baking I opened the oven and spooned the melted butter over the fish (ryba). Continue baking until it is flaky. Speaking of green beans, you can use them to make a delicious green beans soup. trout is a good fish, even when you leave bones in when preparing it, it’s easy to deal with when on a serving plate, easy to remove bones, one of my favorite fish, easy to deal with bone, unlike say carp. No doubt about it, the bones in trout are much easier to deal with than carp. 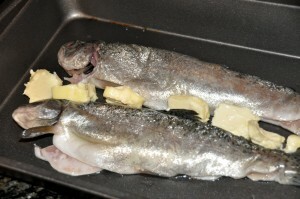 I fly fish for trout and have not seen the bones removed prior to cooking. We usually filet the fish or remove the spline after cooking. My wife prefers to remove the head prior to cooking. 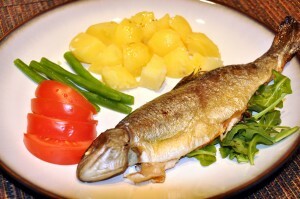 Where would one go in Slovakia to do trout fishing-especially with a fly rod?Anyways, the meal looks good. Maybe some slices of green peppers could be added. Yes Garrett, I am doing trout the same way, filet the fish, I cut the head off and that’s it. 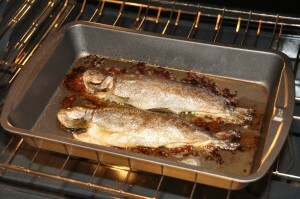 I like to wrap some bacon around the trout, and wrap in in aluminum foil to bake it. It’s much easier and cleaner to remove the spine and bones on a plate, when it’s soft and the meat is easy to separate from the bone. It’s been a long time since I fished in Slovakia, I think going North into mountains, like uper river Vah, Poprad river, Pieniny, etc. is a way to go. This is mouthwatering. I can’t wait to try this recipe. Do you think it can work with baked potatoes? It’s all about what you like. 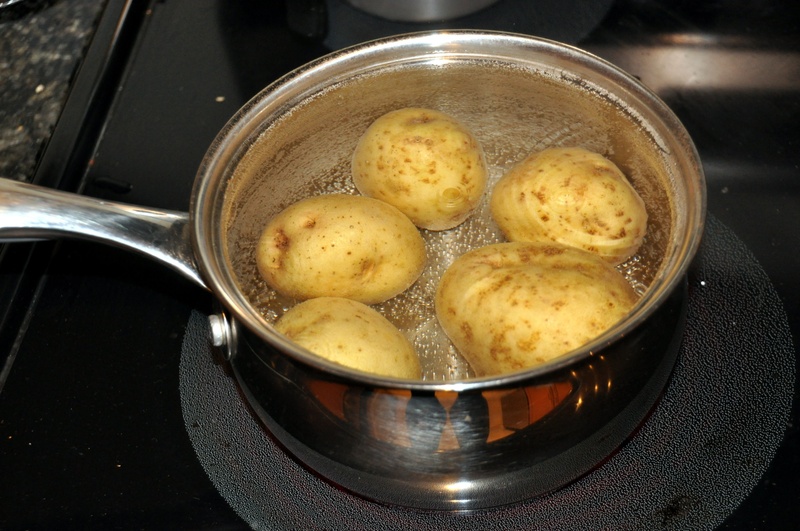 Boiled or mashed potatoes are usual sides but if you prefer baked potatoes there is nothing wrong with it. Thanks for reply miro. I tried it with baked potatoes and it was amazing. I really enjoyed it. Thanks again for the recipe. Best regards!